People assume that modern and traditional styles are like oil and water – that they will never mix. However with a strategic approach, you can blend the two with ease, creating a room with interest, grace and character. 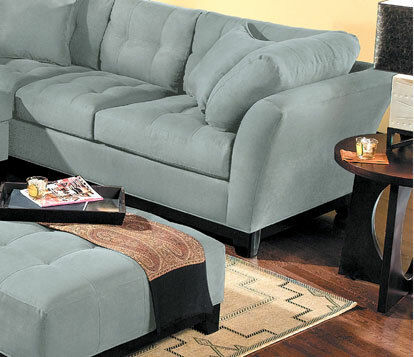 Modern furnishings feature clean lines, sleek surfaces, and sculptural forms. This design style is based on a rejection of traditional finishes and embellishments. It leans toward a visually light appearance often with shiny finishes, unadorned, minimalistic lines and geometric shapes. The downside of completely modern decor is that a space can end up being so stripped down it looks stark, cold and impersonal. 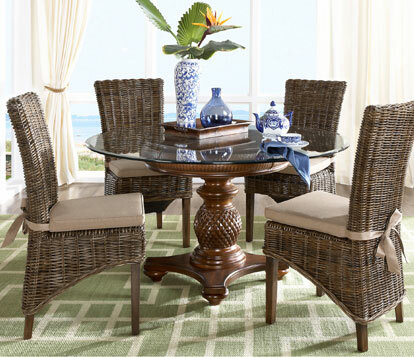 Traditional furnishings are known for beautiful embellishments, rich textures and timeless character. They heft visually weightiness and have deep burnished, gilded or carved finishes, and incorporate richly patterned fabrics and decorative trims. However, a room filled with traditional furnishings can feel cluttered and busy for some. A traditional space with contemporary accents. Look for similarities in the furnishings, especially when pairing similar items such as traditional and modern seating, or traditional and modern tables. Look for similar characteristics such as colors, forms, shapes or finishes. By having a few threads of consistency, your pieces will look like they belong together. This bedroom features a traditional wingback upholstered bed paired with a modern chair and ottoman, modern influenced chandelier and accessories. The space is finished with a transitional dresser and night stands. 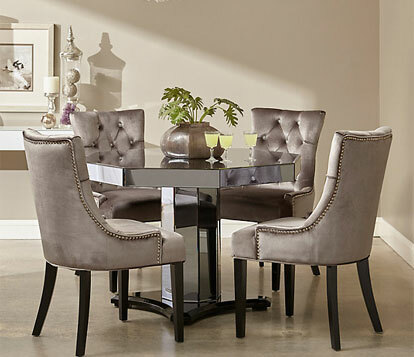 These dining rooms mix styles as well, the first has traditionally styled velour chairs with a contemporary table. In the second casual modern chairs are paired with a formal traditional pedistal table, and brought together with a transitional green rug. 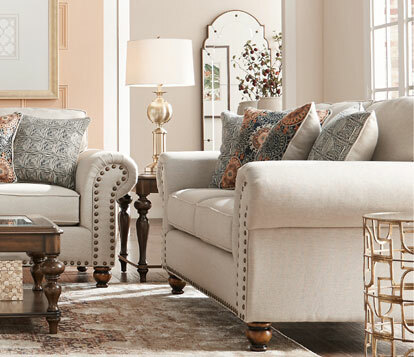 In this living room, a traditional English roll arm sofa has been accented with pillows that feature modern and transitional prints, and surrounded by contemporary and modern tables, area rug and décor. The first living room mixes a traditional sofa, loveseat and table set with modern rug, lamp and accent table.In the second, a contemporary sectional, cocktail ottoman and end table pair beautifully with a traditional tribal patterned rug. By incorporating a mixture of traditional and modern styles you just might find the harmonious balance that you are looking for in your home.